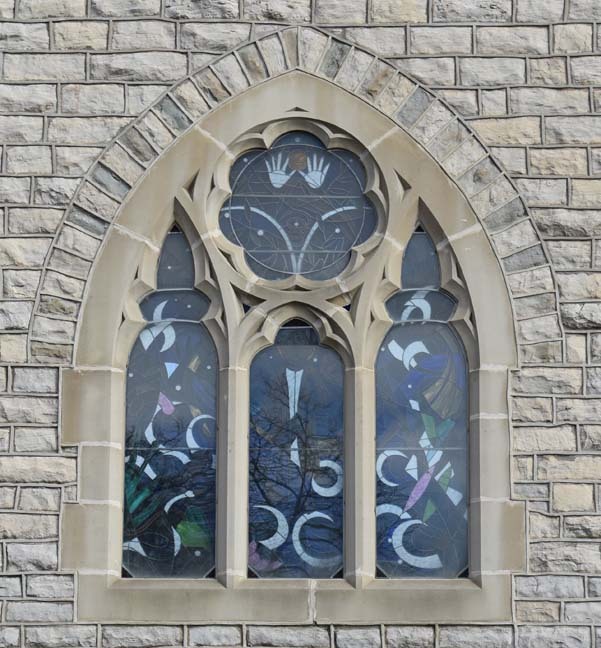 Brief Description of Subject: This is one of four transept windows designed by Buffalo N. Y. artist Ellen Steinfeld. 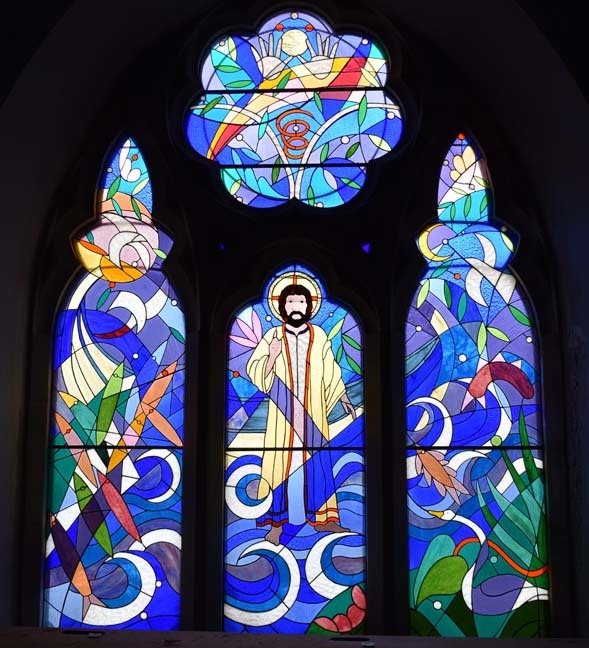 The specific subject of the window was left up to the artist, however the donors, Megan Norris and her husband Howard Matthews, stipulated that it was to have an image of Christ that their biracial daughter, Taylor, could identify with. For this window, the artist choose to picture Christ walking on water, and entitled it "Sea of Galilee."